restaurants – both fetar and sohour. no punches, offering everything from stuffed pigeon to molokheya with chicken. reservations, call 0100 569 6878.
reservations, call 02 2798 0000. Kempinski venue, Shishawy. For reservations, call 02 2798 0000. Ramadan spirit though, with some traditional dessert options. For delivery, call 02 2461 9199 (Nile City Towers) or 012 2666 8880 (Mall of Arabia) . foul and falafel to steak is made for you in front of your eyes to your liking. 6036 (Mohandiseen) or 011 1333 6033 (Heliopolis). reservations, call 010 9313 1313.
mind boggles. For delivery, call 010 0296 7777. With a perfectly timed opening, Citystars’ newest culinary addition is hell-bent on delivering the perfect Lebanese Ramadan experience. Having already impressed with some extravagant dishes, Tamara is offering a set fetar menu at 140LE, a set a sohour menu at 100LE and plenty of shisha options. For reservations, call 0120 000 6066. 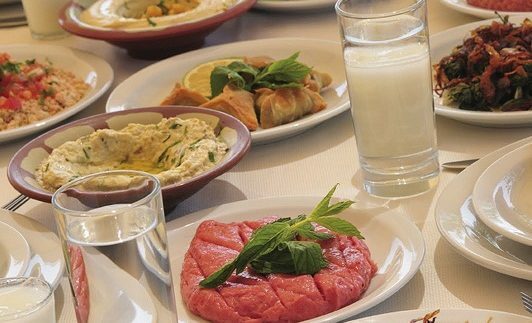 A heavyweight in Cairo dining, Andrea’s Maadi boat offers a playful menu of Egyptian classics for both fetar and sohour at very reasonable prices (40LE sohour minimum). So, you can eat easy knowing that you won’t get heartburn at 3AM on account of ordering more food than you can eat to reach the minimum. The boat isn’t moving though. Lame. For reservations, call 010 0136 8949.